Você sabia que NOUNS em inglês quer dizer SUBSTANTIVOS? E o que são os substantivos? Vem com a gente revisar com o Simulado Enem Online de Inglês! São apenas 10 questões e, caso erre, tem dicas para estudar! 01 The study of game aesthetics is a very 02 recent practice, spanning less than two 03 decades. Unlike game studies in mathematics 04 or the social sciences, …….. are much older, 05 games became subject to humanistic study 06 only after computer and video games became 07 popular. This lack of persistent interest might 08 seem odd, but only if we see traditional 09 games and computer games as intrinsically 10 similar, …….. they are not. We might try to 11 explain this lack by noting that games are 12 usually seen as trivial and lowbrow by the 13 aesthetic and theoretical elites …….. cultivate 14 the analysis of artistic media objects: 15 literature, the visual arts, theatre, music, etc. 16 But this does not explain the fact that 17 aesthetic studies of games are now not only 18 possible, but even encouraged and supported 19 with funding. What happened to cause this 20 change? 21 A possible explanation could be that digital 22 games, unlike traditional games or sports, 23 consist of non-ephemeral content (stored 24 words, sounds and images), which places 25 them much closer to the ideal object of the 26 Humanities, the work of art. Thus, they 27 become visible and textualizable for the 28 aesthetic observer, in a way the previous 29 phenomena were not. 30 However, this sudden visibility, probably 31 also caused by the tremendous economic and 32 cultural success of computer games, produces 33 certain blind spots in the aesthetic observer, 34 especially if he/she is trained in textual/visual 35 analysis, as is usually the case. Instead of 36 treating the new phenomena carefully, and as 37 objects of a study for which no methodology 38 yet exists, they are analyzed with tools that 39 happen to be at hand, such as film or 40 narrative theories. Therefore we need to 41 outline and promote a methodology for the 42 aesthetic study of games, which, given the 43 current nascent state of the field, will 44 doubtlessly give way to more sophisticated 45 approaches in the years to come. Methodological approaches to game analysis. Available at: <http://hypertext.rmit.edu.au/dac/ papers/Aarseth.pdf>. 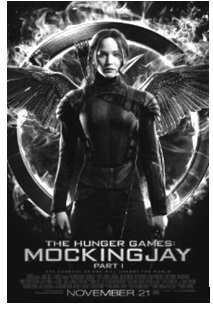 Accessed on July 26th, 2014. 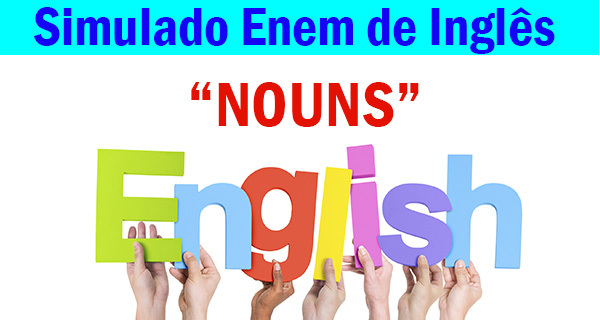 Select the alternative which presents only nouns in their plural forms. make, grass, sun, lettuce, crisp. outside, sun, lettuce, grass, jungles. sun, radish, beautiful, outside, grass. jungles, bright, crisp, radish, lettuce. sun, lettuce, radish, grass, jungles. Ebola is a viral illness of which the initial symptoms can include a sudden fever, intense weakness, muscle pain and a sore throat. And that is just the beginning: subsequent stages are vomiting, diarrhoea and – in some cases – both internal and external bleeding. Healthcare workers are at risk if they treat patients without taking the right precautions to avoid infection. People are infectious as long as their blood and secretions contain the virus – in some cases, up to seven weeks after they recover. 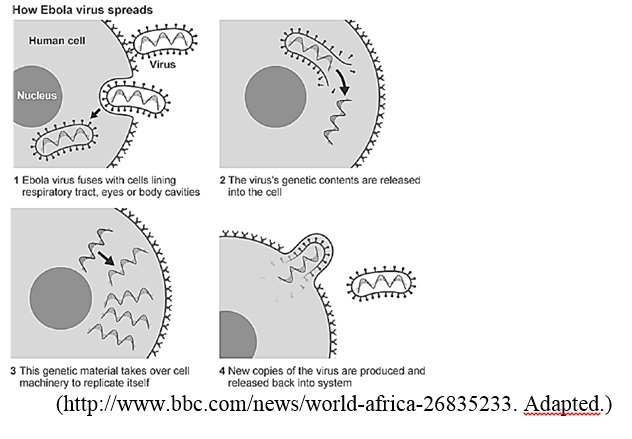 The virus was first discovered in the Democratic Republic of Congo in 1976 since when it has mostly affected countries further east, such as Uganda and Sudan. From Nzerekore, a remote area of south-eastern Guinea, the virus spread to the capital, Conakry, and neighbouring Liberia and Sierra Leone. There have been 20 cases of Ebola being imported by someone travelling from a country of widespread transmission to Nigeria, with eight confirmed deaths. A nurse in Spain became the first person to contract the deadly virus outside of West Africa, after treating two Spanish missionaries who had eventually died of Ebola in Madrid. Ebola is spread through close physical contact with infected people. This is a problem for many in the West African countries currently affected by the outbreak, as practices around religion and death involve close physical contact. The ritual preparation of bodies for burial involves washing, touching and kissing. Those with the highest status in society are often charged with washing and preparing the body. For a woman this can include braiding the hair, and for a man shaving the head. If a person has died from Ebola, their body will have a very high viral load. Bleeding is a usual symptom of the disease prior to death. Those who handle the body and come into contact with the blood or other body fluids are at greatest risk of catching the disease. Those who handle the body are at greatest risk of catching the disease. Those with the highest social status are charged with preparing the body. The ritual preparation of bodies for burial involves washing, and kissing. They treat patients without taking the right precautions to avoid infection.